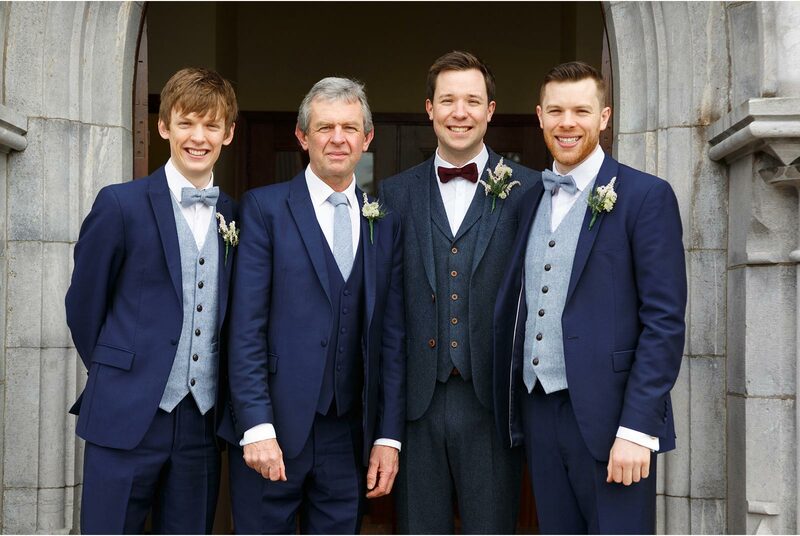 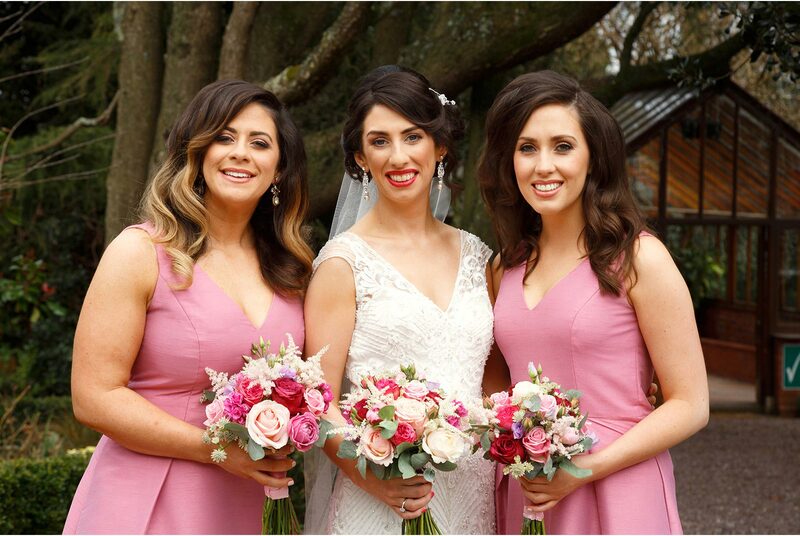 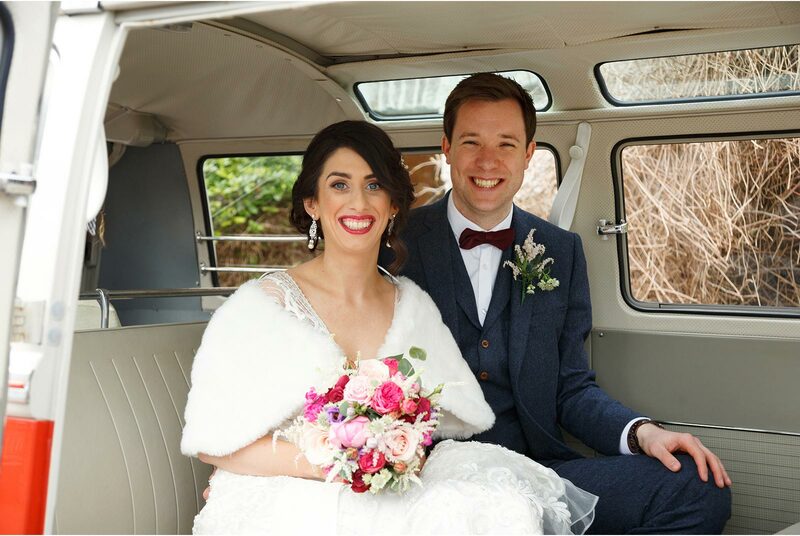 Emer and Brian just picked up their finished wedding album and I am delighted to share some images from their Barnabrow wedding celebrations. 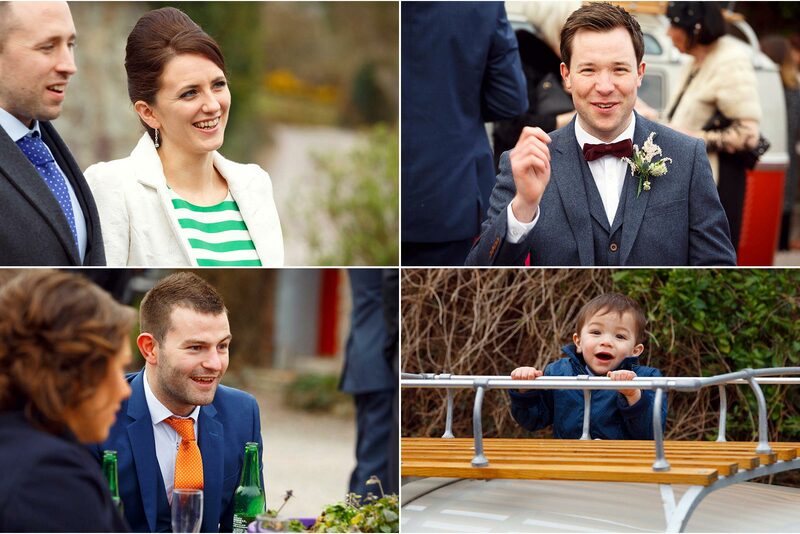 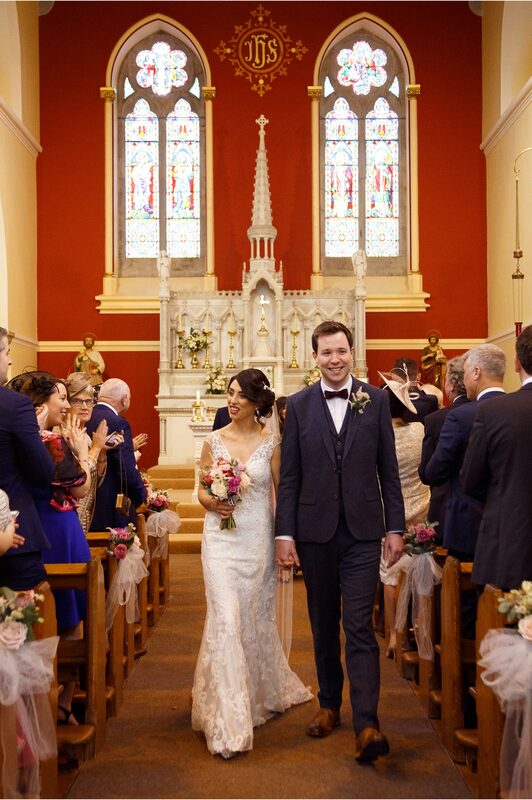 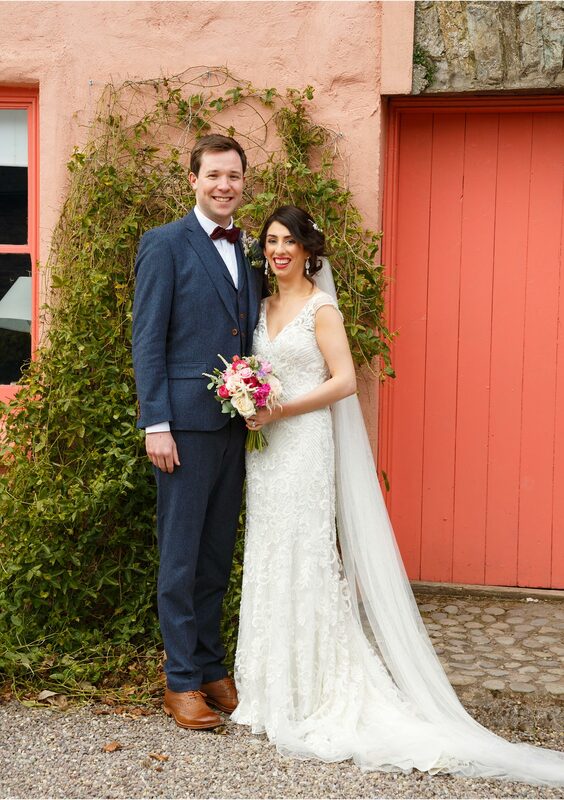 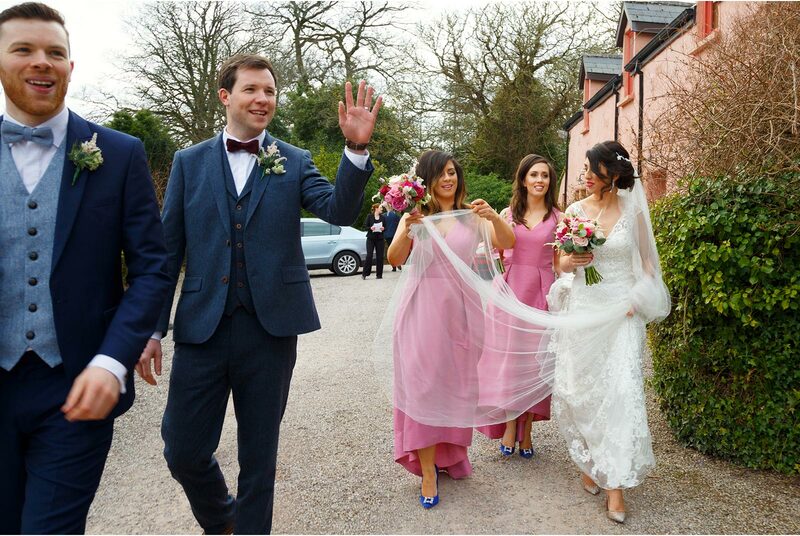 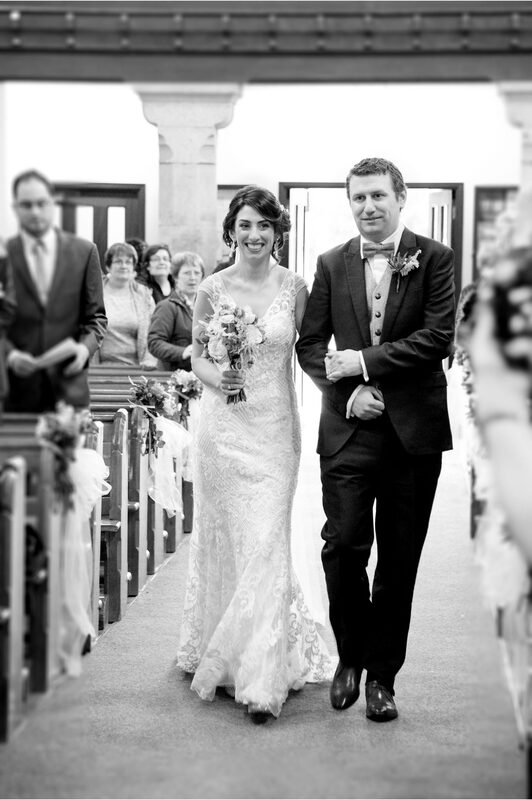 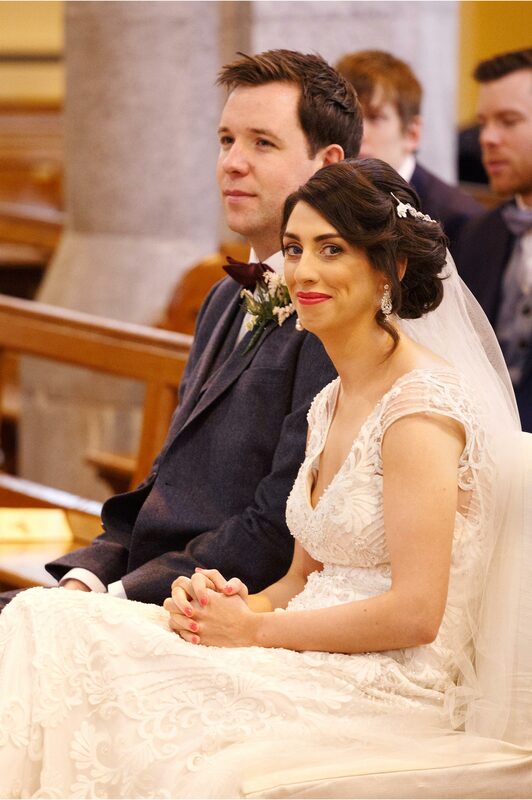 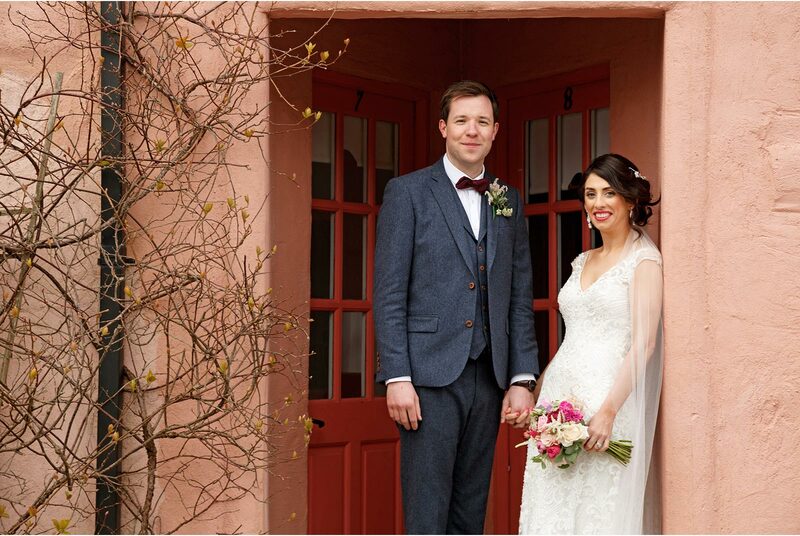 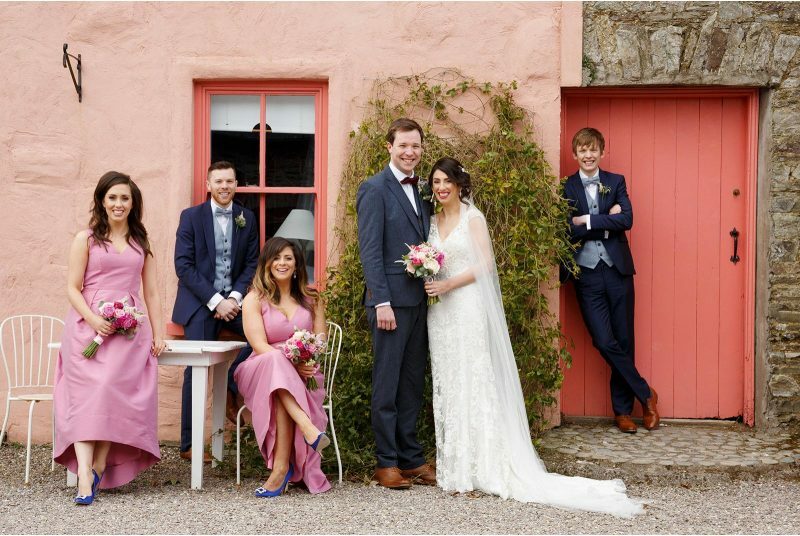 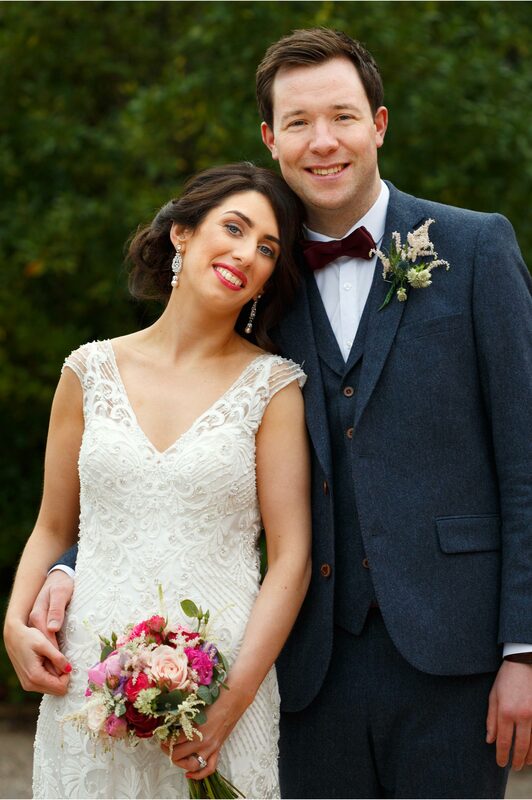 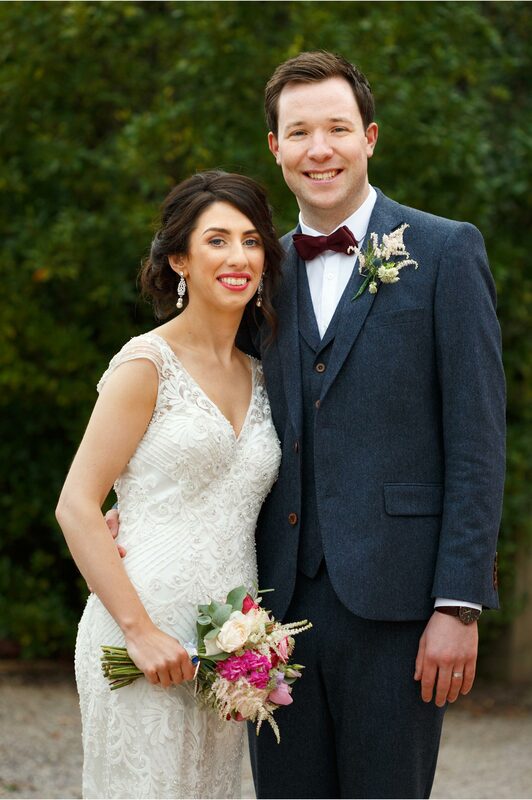 Even though it was a dull enough March day Emer and Brian certainly added a huge burst of colour and warmth. 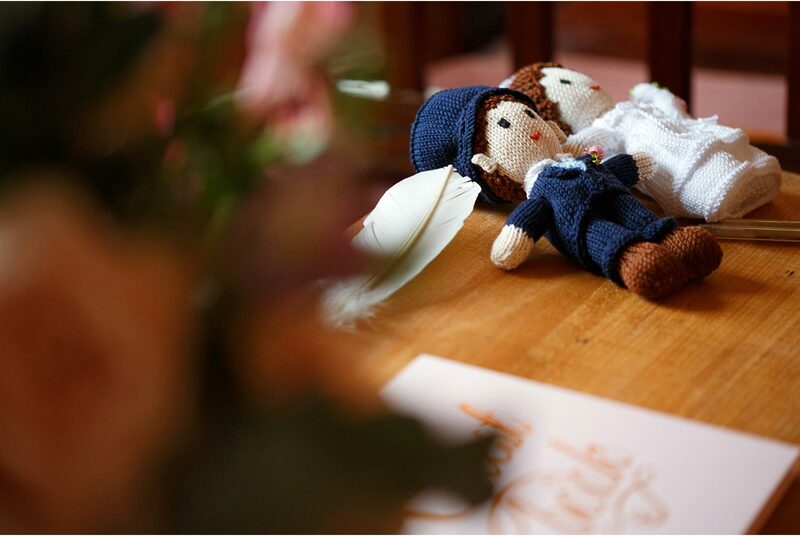 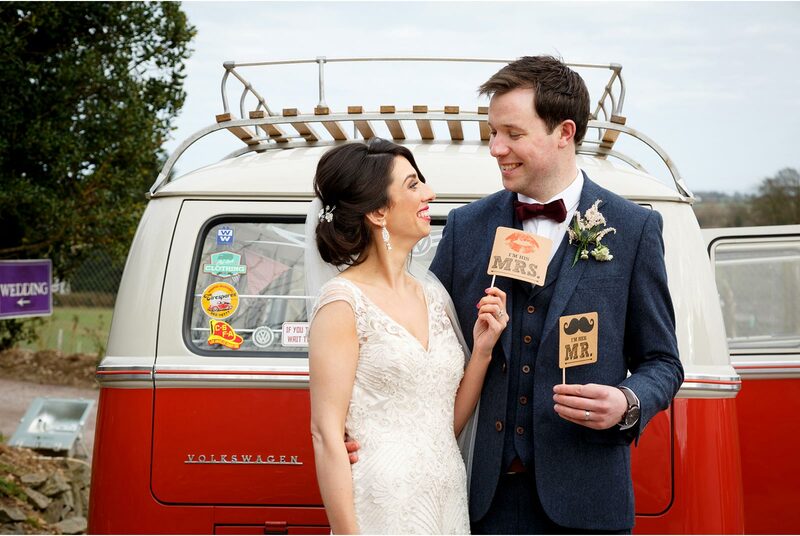 This couple have been through really tough times, many very important people having passed away, but momentos, and old photos were to be spotted here and there so loved ones were never far away. 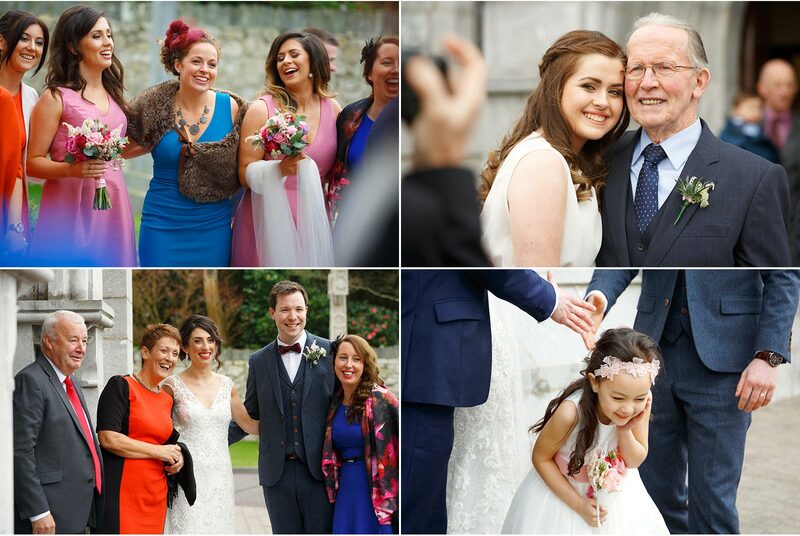 The over all feeling of this day though was one of fun and love. 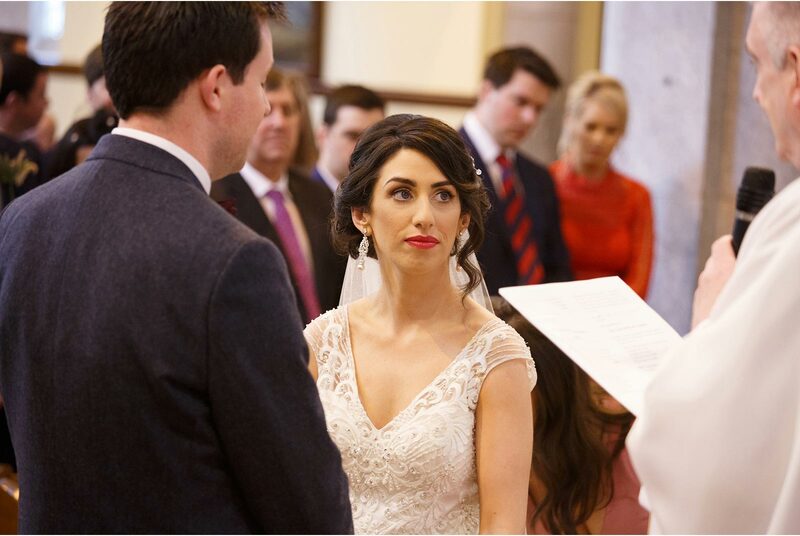 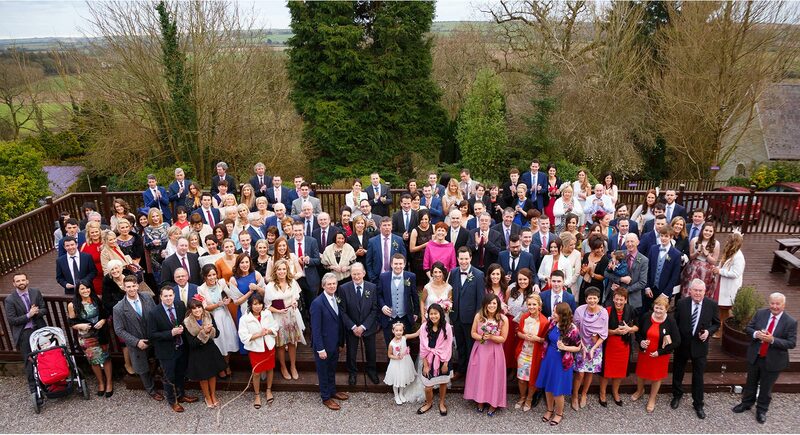 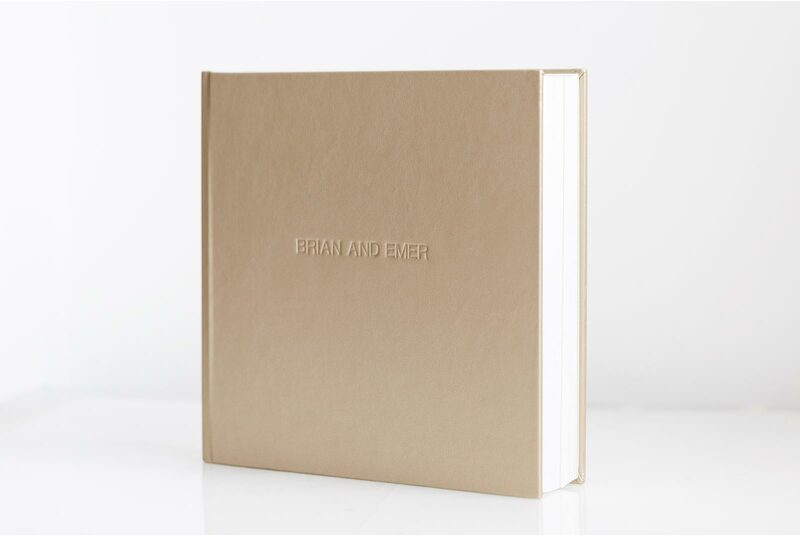 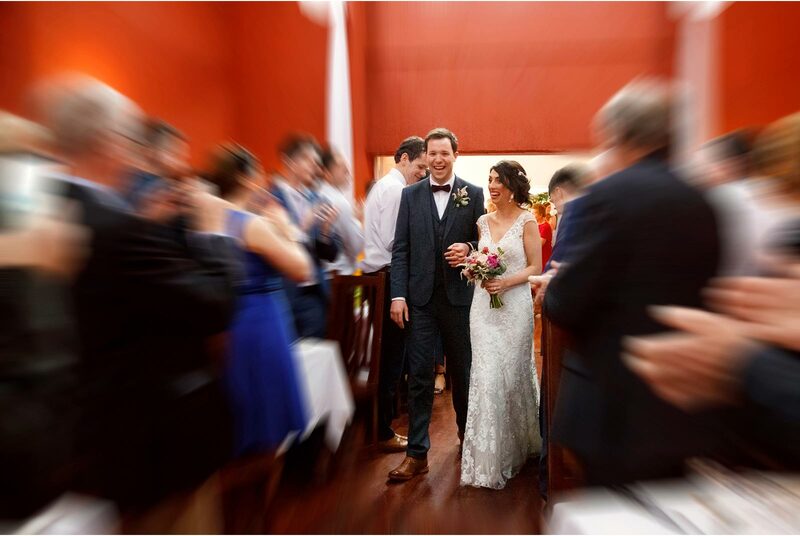 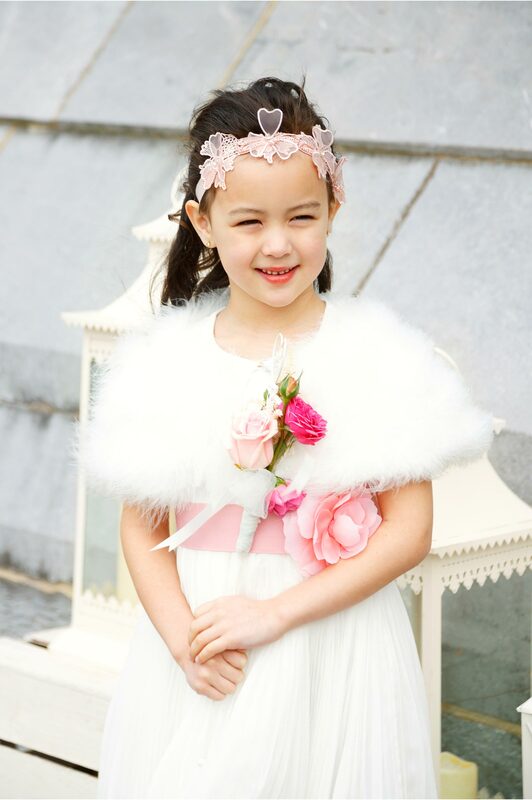 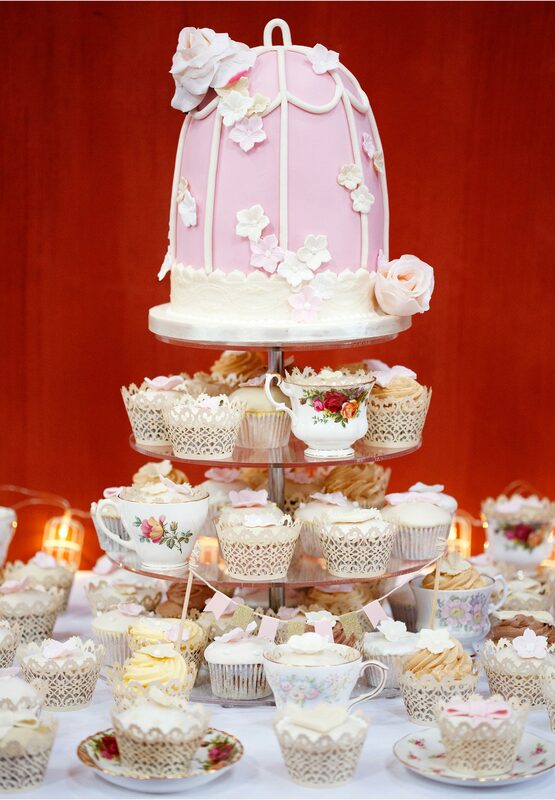 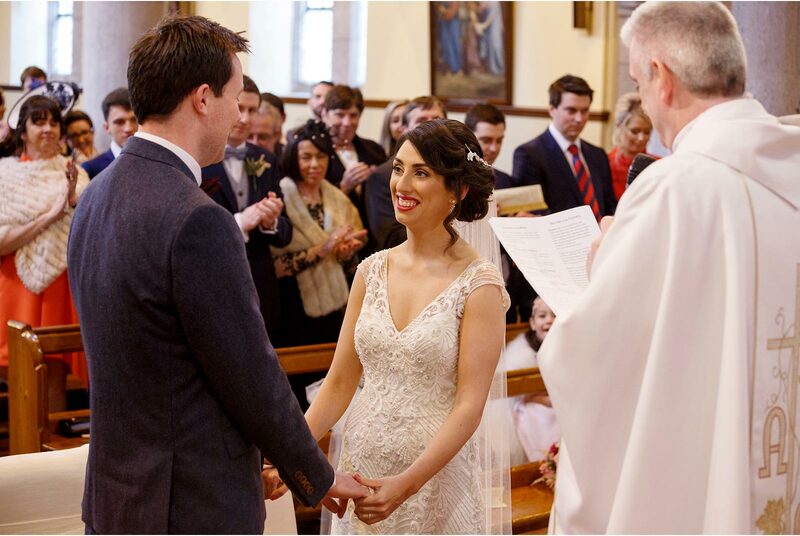 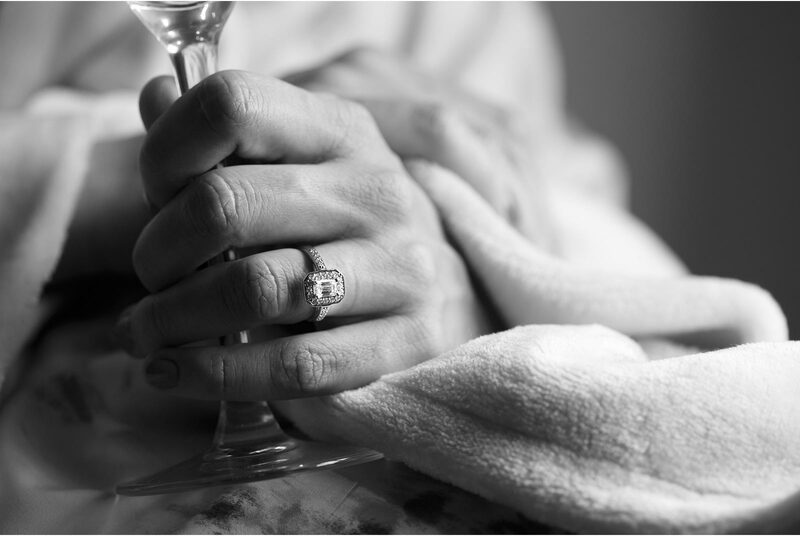 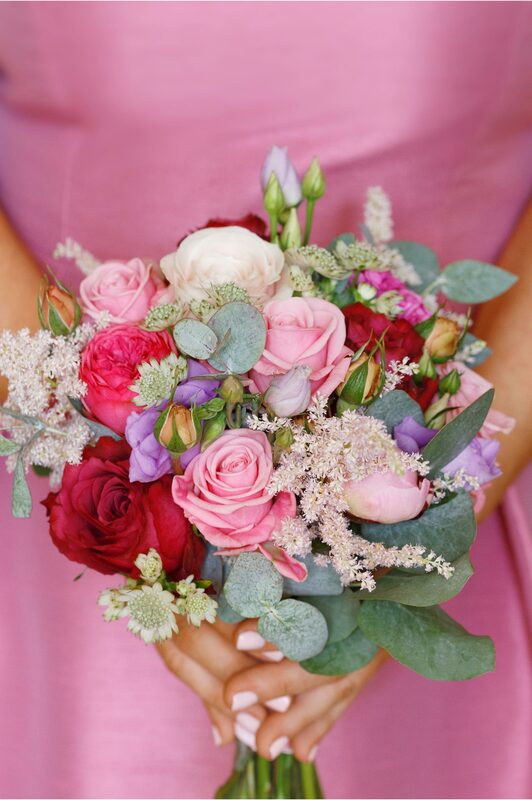 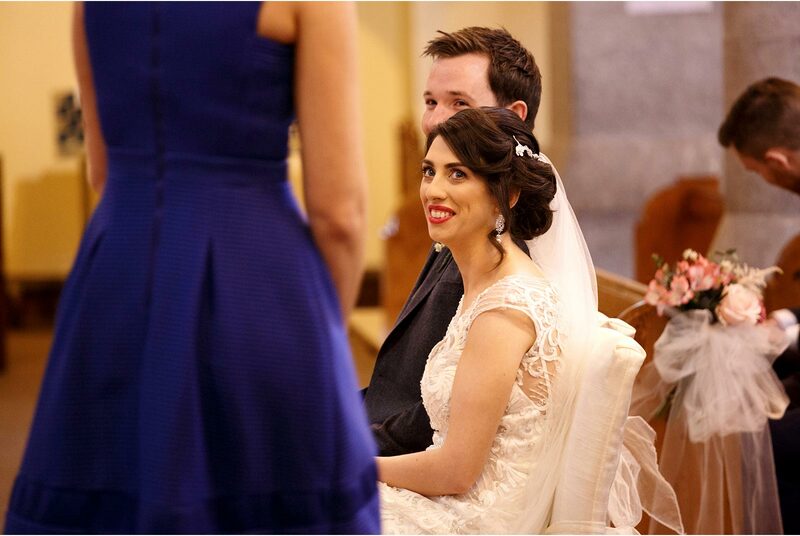 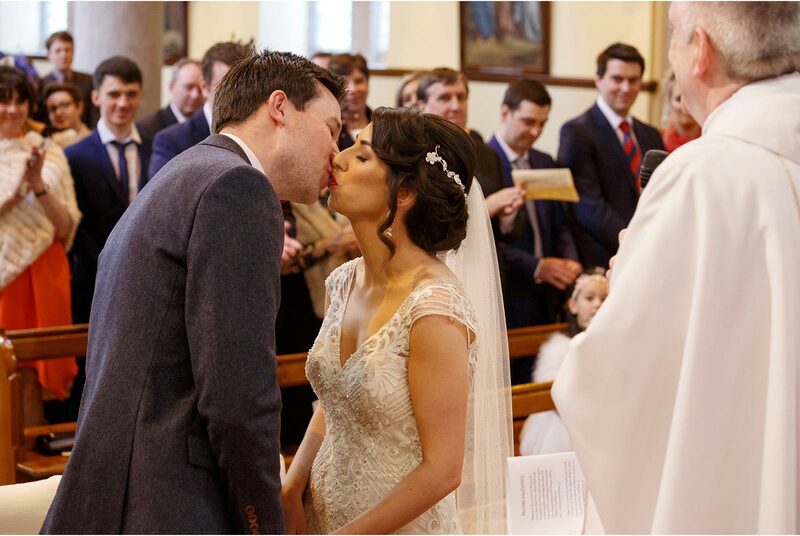 Emer and Brian’s priority was to have a great celebration party with family and friends, and that is exactly what happened. 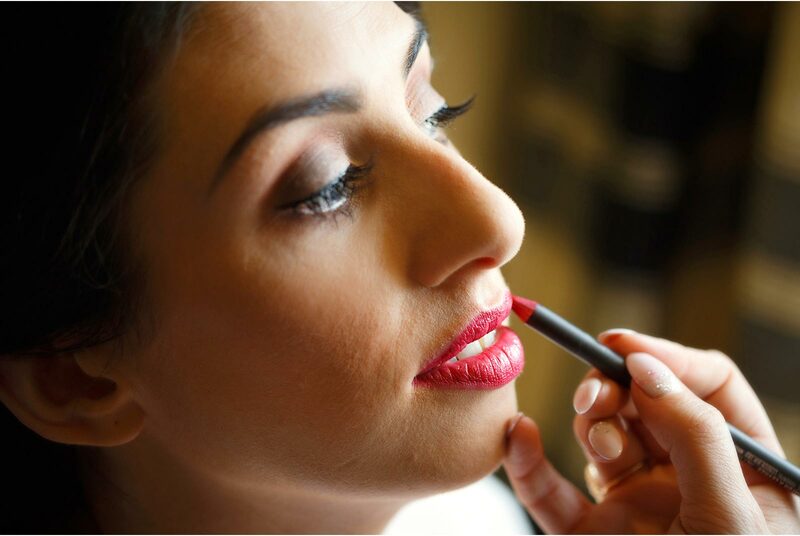 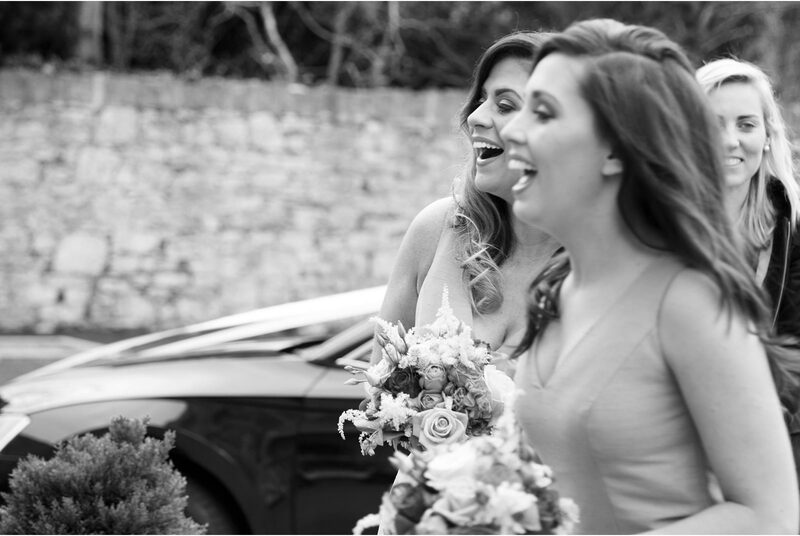 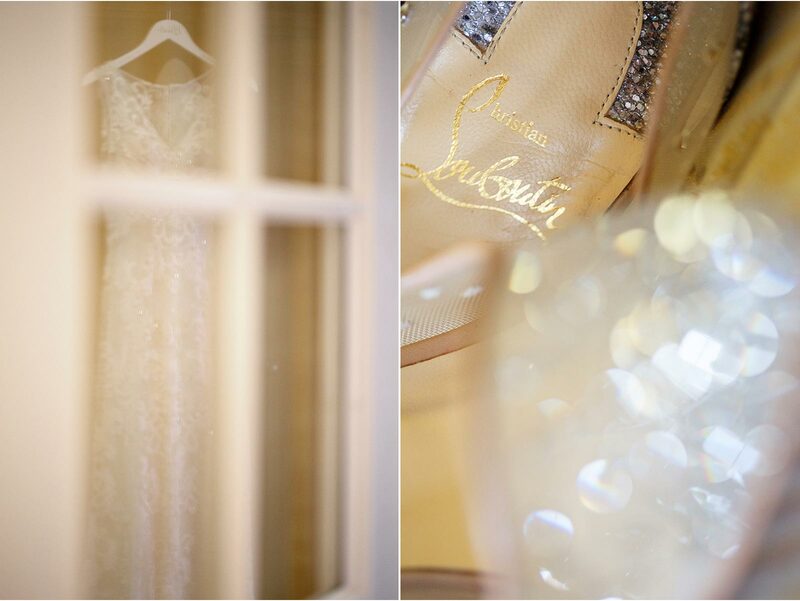 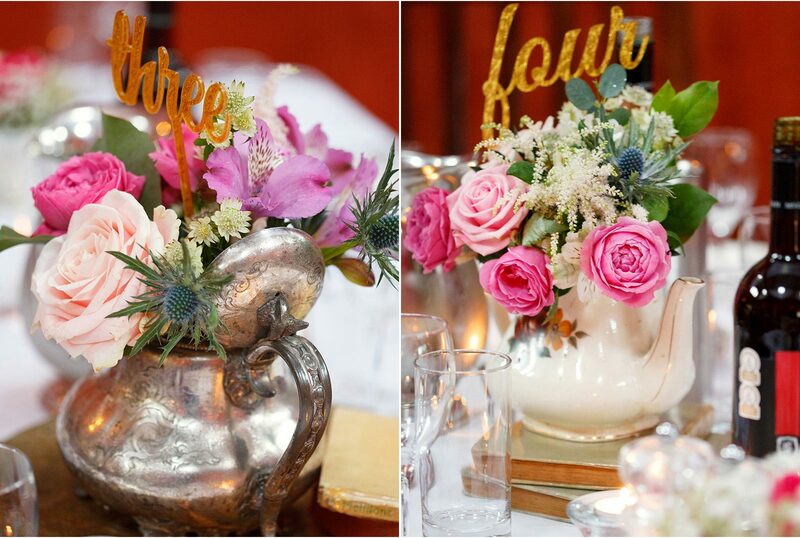 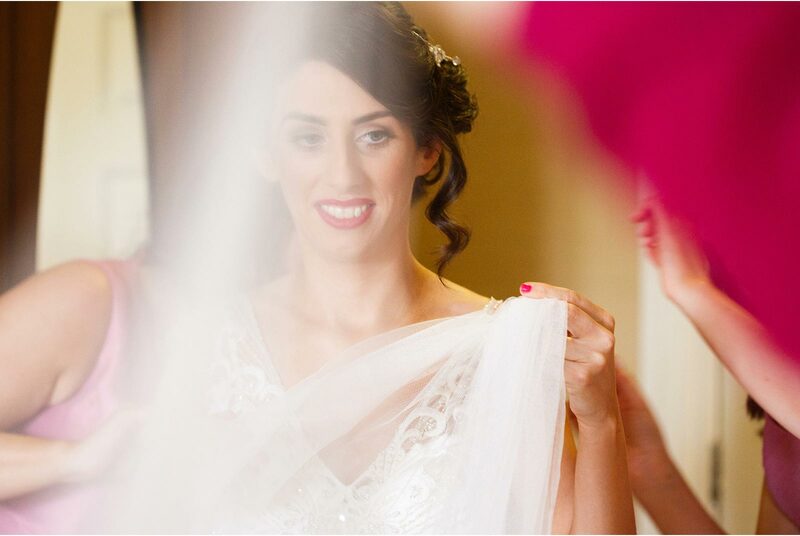 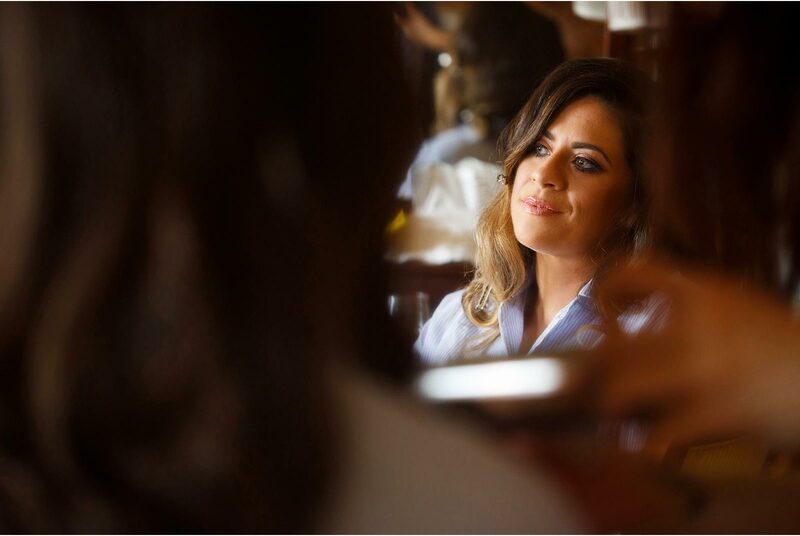 Emer chose to get ready in the beautiful Hayfield Manor; this was such a great idea. 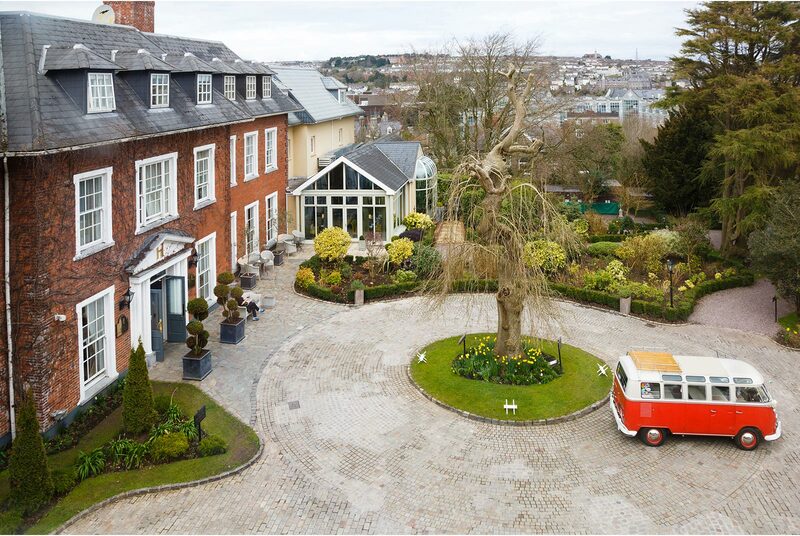 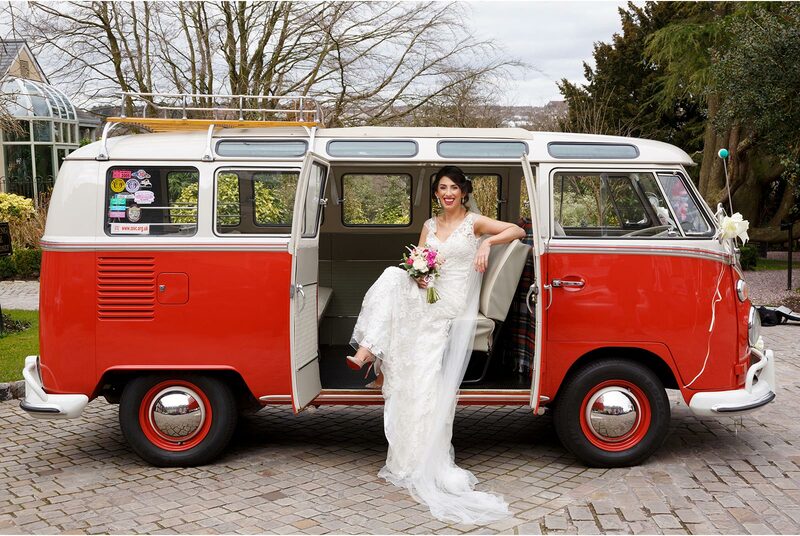 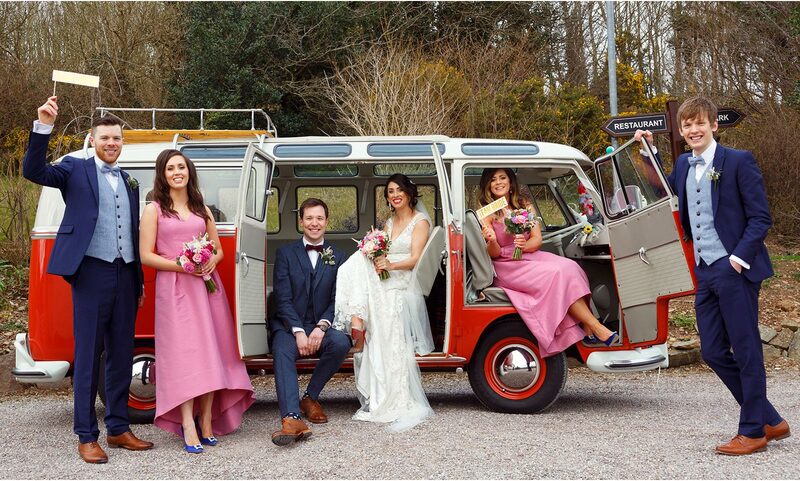 The room was beautiful and elegant and I think the VW bus parked outside the luxury hotel really set the tone for the day to come – a total mix of glamour and fun! 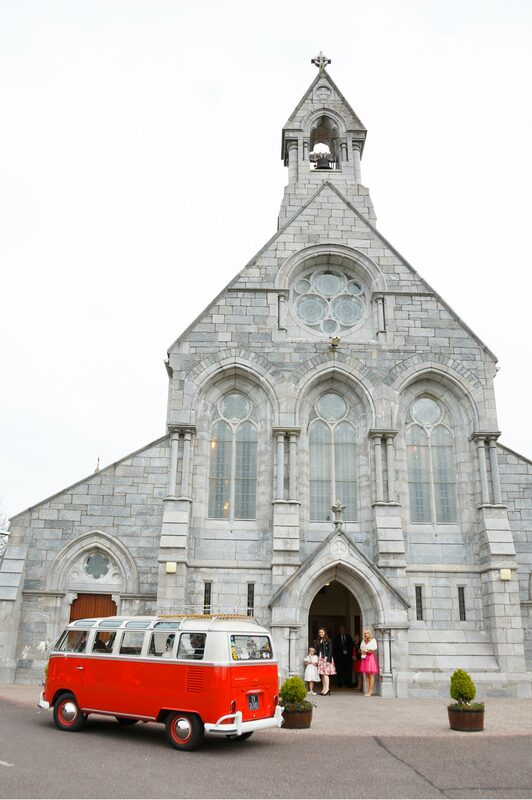 The VW pulled up in front of the chuch of St. Mary and St John in Ballincollig where the cutest little flower girl and page boy were waiting. 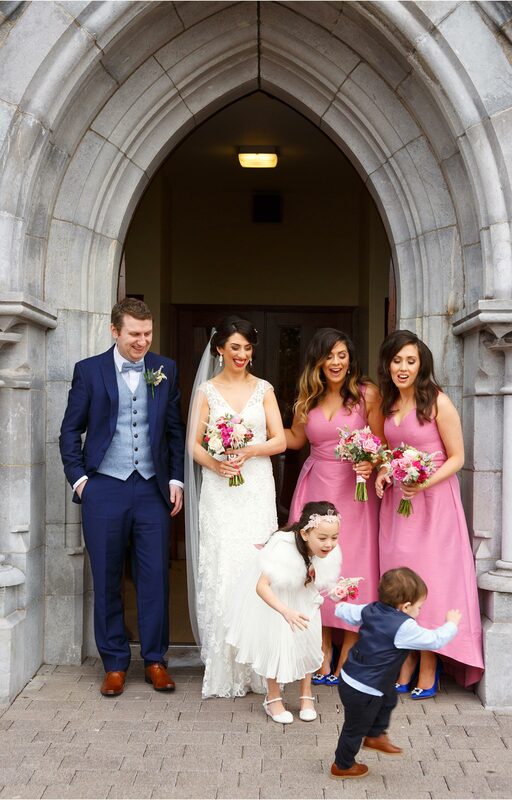 The little fella was full of fun (I love the photo of him running away from the group outside the church). 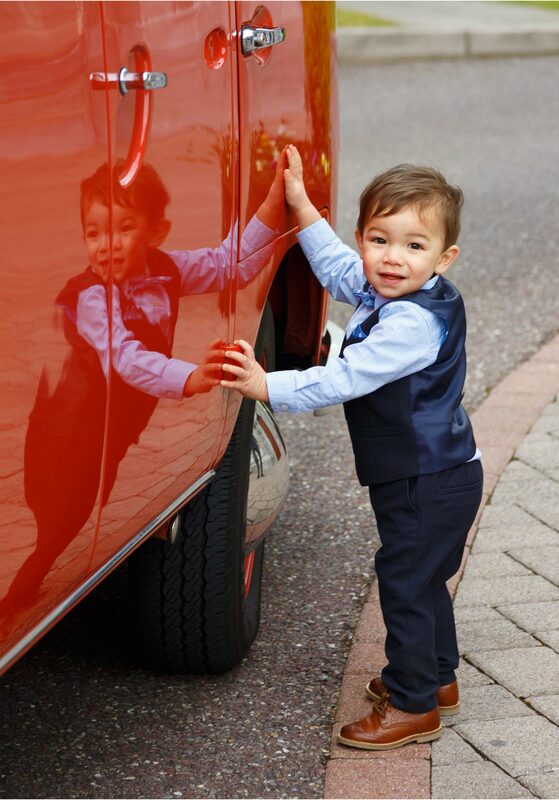 His big sister held his hand going up the isle and the two of them totally stole the show. 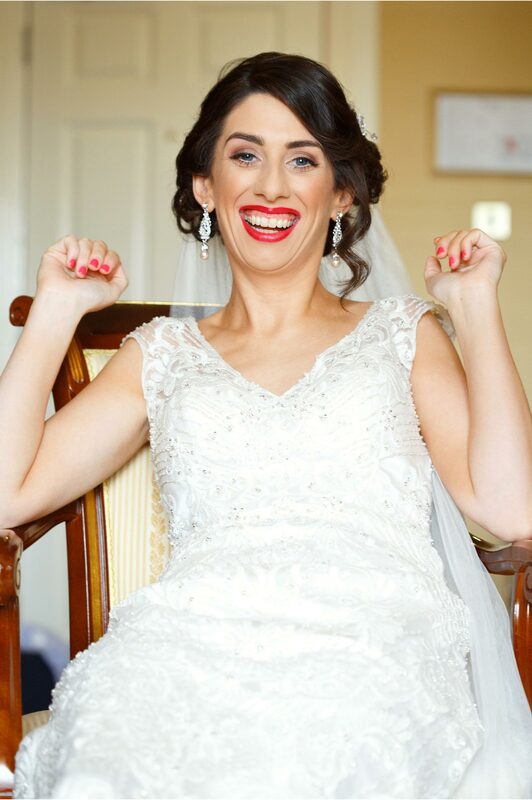 Sorry Emer!